Whether you'd like to party all night on South Beach, explore the natural wonders of Everglades National Park or simply veg out on the beach with your friends, Miami has plenty of recreational opportunities available to you. Here are the 16 best ways to kick back and relax in South Florida. Miami's famed Wynwood neighborhood is a formerly industrial neighborhood that rose to fame very quickly as a hot spot for graffiti and street art. Today, it's home to trendy boutiques, restaurants, galleries, and bars. Tony Goldman is the mastermind behind the neighborhood's redevelopment, which includes Wynwood Walls, 40 murals from some of the world's best street artists, and renowned art institutions like the Rubell Family Collection and the Margulies Collection at the Warehouse. 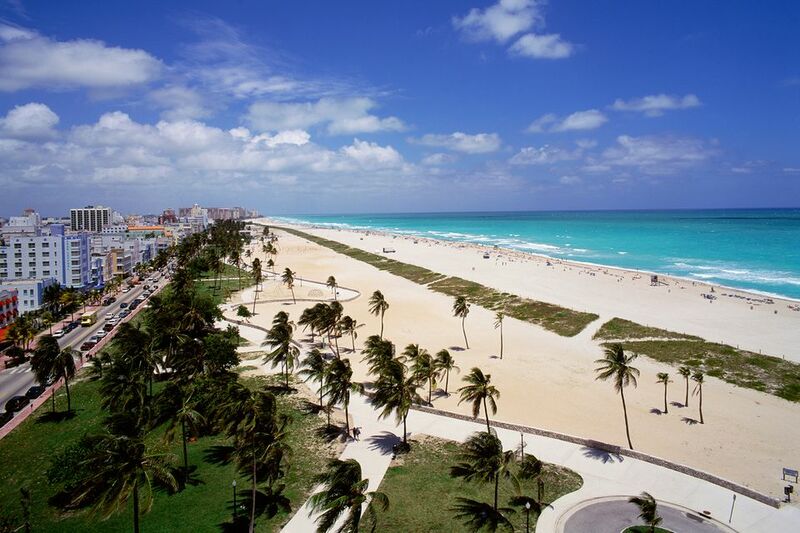 No visit to Miami can be considered complete without a stop at South Beach, the quintessential Miami hot spot. From shopping to partying, this area of Miami Beach is well-known for being a trendy locale. Depending on your personal tastes, you might enjoy spending a full weekend touring South Beach, stay at one of the best hotels in South Beach, take a South Beach walking tour, explore the Art Deco architecture of the area or party all night with the Miami Beach nightlife. With 1.5 million acres of swamps, saw-grass prairies, and sub-tropical jungles, Everglades National Park is one of the most unusual public parks in the United States. Located on the southern tip of Florida, the park is home to 14 rare and endangered species, including the American Crocodile, the Florida Panther, and the West Indian Manatee. A significant portion of the park is primitive, explored only by adventurists and researchers, but visitors have ample opportunity to walk, camp and canoe. You can start your journey by reading our visitors' guide Everglades National Park to see how your time in this natural wonderland can take the form of a quick drive or a full week's adventure in the backcountry swamp. Zoo Miami is fast becoming one of the best zoos in the nation, and it probably stands out from other zoos you've been to—the exhibits here are entirely cage-free, making it one of the first free-range zoos in the country. Miami's climate allows it to keep a wide variety of animals from Asia, Australia, and Africa like no other zoo in the country. Animals are grouped according to their geographic territory, and animals that live together peacefully in the wild are placed in exhibits together. The Miami Seaquarium is located right in the middle of the tourist area on the causeway between downtown Miami and Key Biscayne. You'll want to spend at least a half-day at this one-of-a-kind outdoor aquarium, which is home to dolphins, sea turtles, manatees, and more. Brickell is Miami's financial center, but as of late, it's also become the main hub of glittering high-rise condos, chic luxury hotels, and shopping that puts Bal Harbour to shame. The Brickell City Centre, home to the ultra-trendy boutique hotel EAST Miami, is the place to see and be seen. Miami’s beaches offer a great opportunity to get some exercise or just enjoy some time in the sun—and believe it or not, there's more to Miami than South Beach! We're partial to Mid Beach, which tends to be quieter (and has great views of the city's modernist architecture), or Surfside, a postage-stamp of a residential community with just a mile-long strip of beach. Miami's science museum got an incredible upgrade in 2017 when it relocated to a brand-new $300-million facility and renamed itself the Philip and Patricia Frost Museum. Today, the museum houses a one-of-a-kind three-level aquarium, a 250-seat planetarium, and open bird aviaries. If you have kids (or just like to act like them! ), the Miami Children's Museum is a must-see destination. Its motto of "Play, Learn, Imagine, Create" shines through in the wide variety of interactive exhibits that allow children to explore everything from a supermarket to a television studio, picking up valuable lessons along the way. Monkey Jungle in southern Miami-Dade County is a truly unique park. While humans traverse carefully constructed wire pathways, many species of primates scamper overhead, swinging through trees and interacting with each other in ways difficult to observe in captivity. Keep your eyes open; you never know who's hanging around! The quirky Coral Castle is truly a monument to the uniqueness of Miami! This attraction was built by a Latvian-born Miami resident named Ed Leedskalnin as a monument to his lover, and after 28 years of effort, he introduced his 1,100-ton coral creation to the world. It's a bit of a trip from downtown, but well worth the time. No visit to Miami is complete without a stop at the historical 50-acre Vizcaya Museum and Gardens. This European-style mansion offers a glimpse at life in turn-of-the-century South Florida, with sprawling, perfectly manicured gardens and a house full of world-class European antiques. It's also a trendy venue for galas, weddings, and other entertainment events. Miami's Bayfront Park is a popular venue for concerts and holiday celebrations, but it's also a great place to just relax by the water. The palm tree-studded park is also home to several various memorials and monuments, including a white metal tower which commemorates crew on the 1986 Space Shuttle Challenger disaster. No, not the French palace. Miami's Versailles is perhaps more famous than its French counterpart—at least to Floridians. In this case, Versailles is a massive Cuban restaurant, believed by many to be the most famous in the world. Grab a toasted Cuban sandwich and a hot Cuban coffee, and you'll understand why. One of Miami's most famous architects, Morris Lapidus, designed this complex in the 1950s and it retains much of its popularity today. Now, Lincoln Road is lined with shops, restaurants, and venues for art and culture. Even if you're just window-shopping, the Lincoln Road Mall has enough to keep you entertained for hours. Miami's Design District was once just a hot spot for decorators and designers to shop, but no longer. Now, some top designers have decamped from pricy Bal Harbour, turning the former Decorators' Row into a hub for trendy fashion, art, and architecture. The neighborhood has slowly been crossing into Wynwood, which means even if you don't have the budget to shop, there are plenty of great free galleries and museums, like the Institute of Contemporary Art.